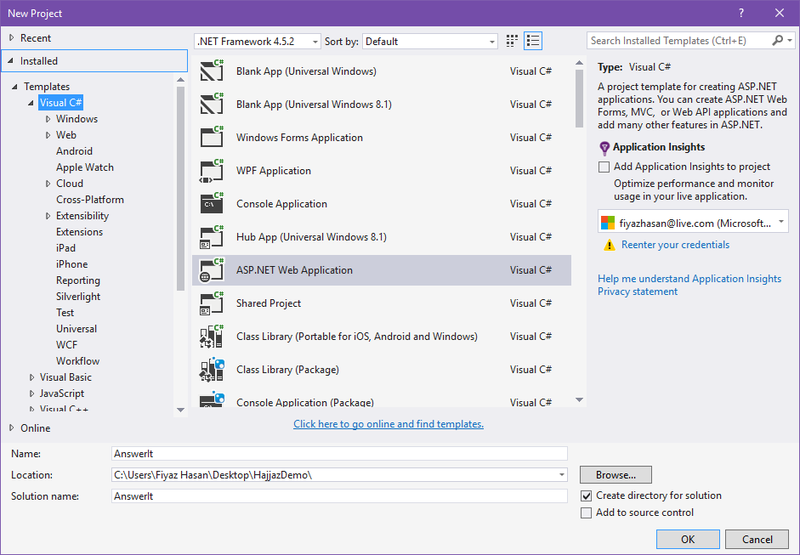 After installing, open up your Visual Studio 2015 and create a new ASP.NET Web Application. 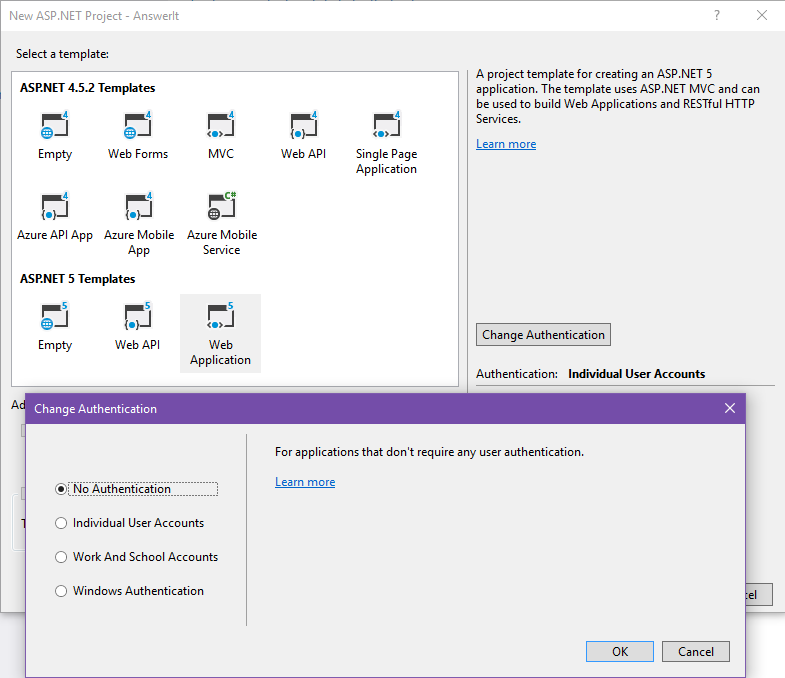 Name it “AsnwerIt” and hit ok. From the template selection window select “Web Application” under the ASP.NET 5 templates section. 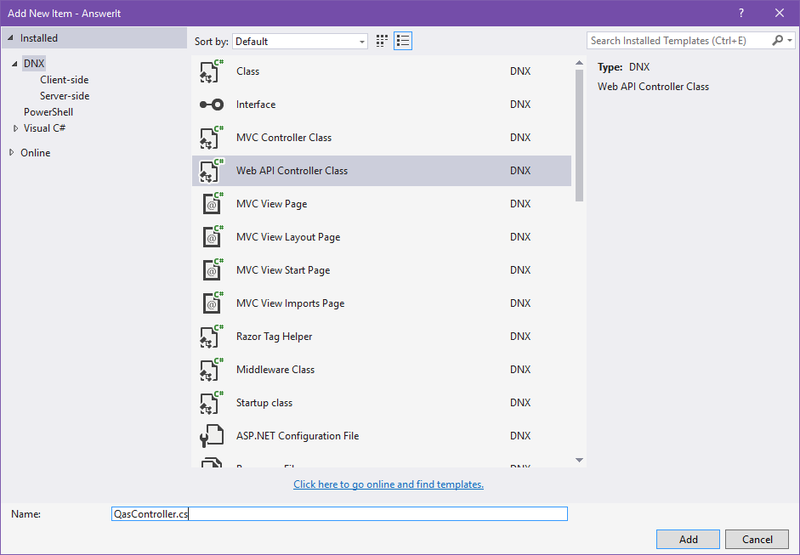 You might be asking yourself where is ASP.NET Core 1.0 templates? 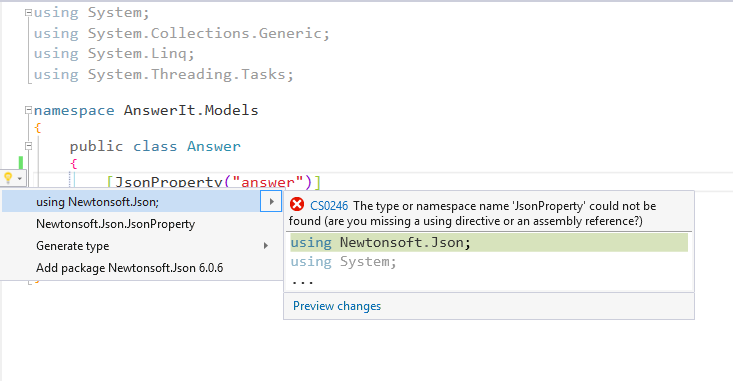 Well ASP.net Core 1.0 is formerly known as ASP.net 5. Since it is still in the RC version they didn’t change the name yet. So don’t be confused. So why did I installed these libraries when I’m using CDN links in client side? Well that’s the housekeeping I was talking about. Now import the resources from our client project. Remove all the existing styles from site.css under wwwroot > css and copy all the styles from cover.css and paste it in there. 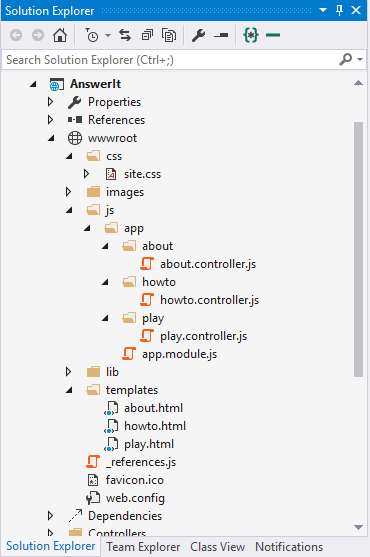 Replace the contents of js folder with the contents of the client app. Also add the templates folder in “wwwroot”. Remove the About.cshtml and Contact.cshtml under "Home" folder since we don’t need them anymore. Run your app and everything should be working fine. 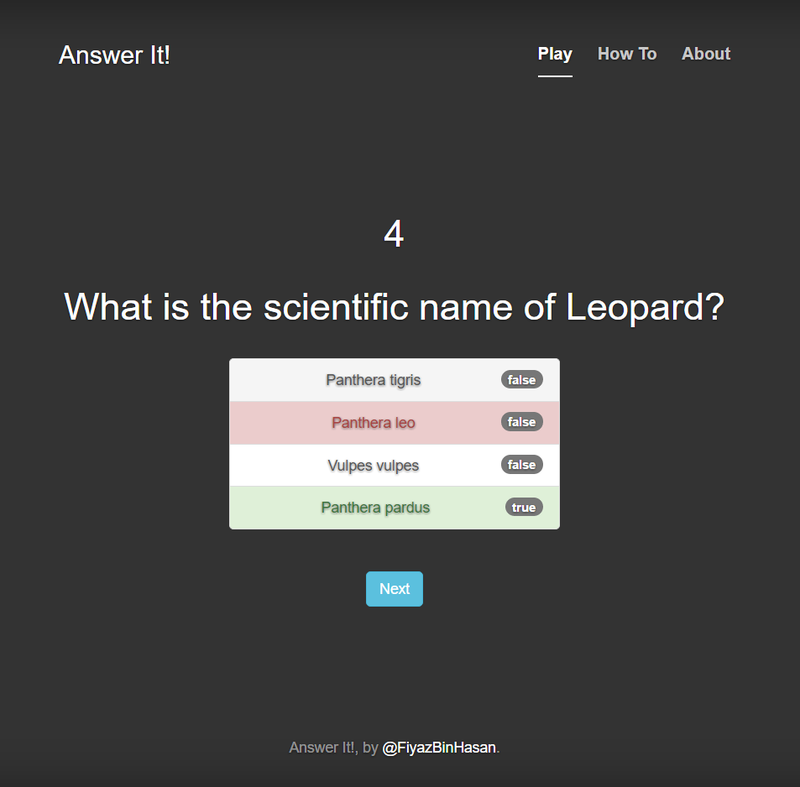 All we’ve been doing is showing a single question with possible answers. Let’s add a bunch of questions and answers like this one. But we won’t do it in the PlayController. Let’s create a new folder under “wwwroot” named "data" and add a json file named "qas.json". Paste this json provided below in that file. 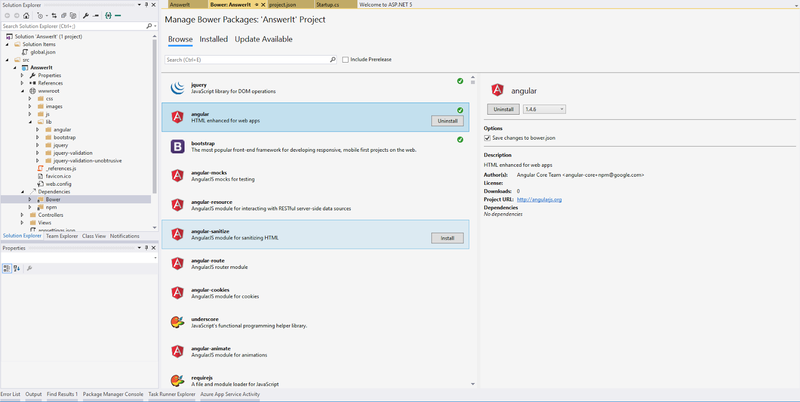 Under wwwroot > js > app > play, create an AngularJs Service script and name it play.service.js. Notice that we’ve updated the dependencies. We have injected the PlayService and the resolved qas object into it. Other than this the game logic is pretty simple. 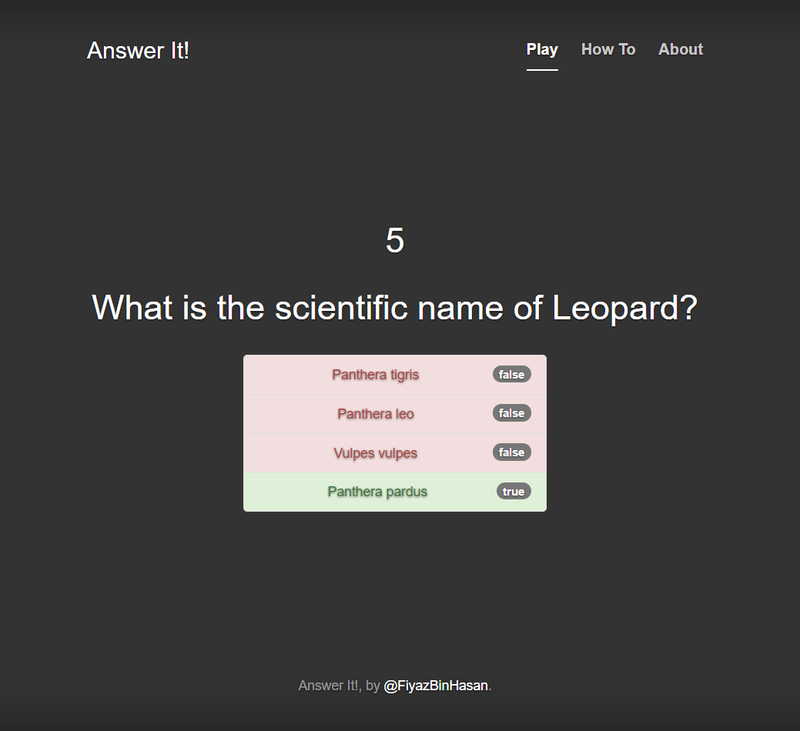 It is almost same as before except that we have now modify the script to be able to work with multiple questions and answers. Important thing to notice is we have two new functions named goNext() and startAgain(). The goNext() function is bind to a button which is only shown when the user gave an answer to the current question or the time is up for the user to answer the current question. The startAgain() function is bind to a button which is shown when all the questions are answered. startAgain() calls to the activate() function which eventually reset the game by initializing all the variable to their initial state. And that’s it we are finished. 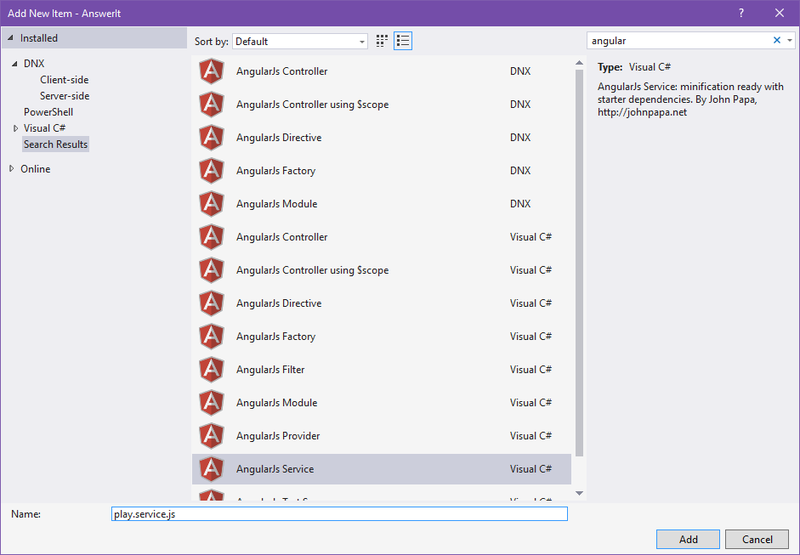 Build and run the app and you will have a fully working Q&A game built with Angular and ASP.net Core 1.0. For further improvement to the app add a result view which will show at the end with the total points acquired by the player. I’ve attached the download link for the project at the end of the article. Download and play with it. Use your imaginations and add features to it. Post a comment if you are stuck or didn't understand something. Thanks for reading.